Do you love gadgets? I can’t go anywhere without my iPhone. Seriously, it’s like an extra appendage. 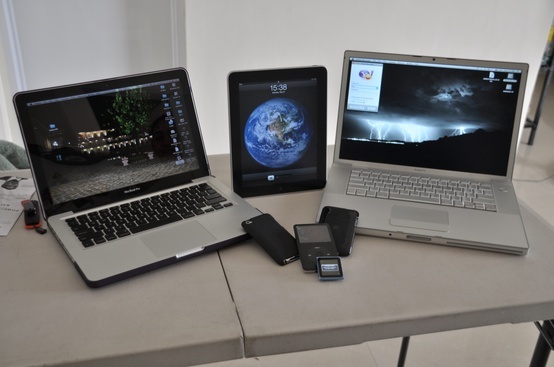 If you’re attached to your electronics like me, shop with our merchants and find great savings. Are you an Apple fanatic? If you’re a K12Rewards member, you can save on all the coolest Apple products like the iPad Mini. It’s fast, has a high resolution screen, comes with FaceTime for easy video chatting and has plenty of memory for apps and music. It’s everything great about the iPad but even more convenient. The iPad mini is probably the hottest gadget out there right now. Love to post your pics to Facebook? Sure you could rely on your cell phone camera, but when you shop with Newegg, you can save on the Nikon1 J1 Black 10.1MP HD Digital Camera System. Ordinarily $599.95, you can get it now for $399.95! It’s got a highly responsive autofocus and fast shooting speed for high-quality motion photos. And has a video mode! It’s a super convenient, versatile camera perfect for capturing all your favorite moments. I don’t know about you, but I’d be completely lost without my GPS. If your sense of direction is less than stellar, shop with Target and save on the Garmin Nuvi 40LM Portable GPS. It’s got turn-by-turn voice instructions, multiple route options, automatic route recalculation if you make a wrong turn, speed limit indicator and more. If you’re a gadget geek, shop with our merchants for great deals on the coolest toys. Plus, you’ll earn money for your school!